How to dye eyelashes and eyebrows? First of all one should choose a color they need. It should be noted that dyes for eyelashes and eyebrows differ from each other completely. Also you need to be sure that a certain dye doesn’t cause any allergic reaction. Of course, each dyeing agent contains maximum light composition; however you should check it on your own. Moreover, before you apply it on eyebrows and eyelashes you should check this dye on your body for any allergic reaction it may cause. In case you notice some inflammation of an eye, don’t use it till its completely recovered. A lot of women choose the color they needs for a long time. Unfortunately, few women have black eyebrows by nature. Blonde and red – haired women should dye them regularly. Of course, you can change hair color without its dyeing, but using a pencil and mascara. It’s known that such agents have some disadvantages: you will have to use these tools every day. If you dye eyebrows and eyelashes using a special dye, your make up won’t be spoiled in hot weather. Keep in mind that you don’t have to experiment! Follow the instruction to watch the proportions you use as the dye should be dosed out as it’s indicated in the instruction. All dyes have the same light color and change it in a process of application. That’s why you don’t add more coloring pigment. Wash your hands before you start the procedure. It is better to remove all make up using a special agent and wash your face. Apply a cream around eyebrows. Be careful as you shouldn’t touch eyelashes and eyebrows. You can use a special brush or a cotton swab to dye eyelashes. Put cotton balls damped in water under eyes. Then start dyeing eyelashes and eyebrows. It’s better to dye eyebrows from the upper edge and move to the inner edge of the eyebrow. It should be marked that it’s recommended to dye eyebrows when they are already corrected. Try not to touch a skin around them. Close your eyes densely and tip your head forward, otherwise the dye may go onto mucous membrane. If you feel some irritation, wash your eye immediately and stop the procedure. The average time of coloring is 5- 15 minutes. Usually, this period is indicated on a pack but you can change it. It depends on the color depth you want to get and your hair structure. The thinner eyebrows you have them less time you need to hold the dye. Use a cotton tampon to remove the rest of the dye when coloring process is over. Keep wiping the dye until the tampon becomes clean. In case you got too dark eyebrows, just soap a cotton Q-tip and start wiping the dye. Now you can pull out excess hairs. Take a pincer and wipe it with alcoholic solution. As a rule the main correction should be performed after the dyeing since light hair becomes darker and you can easily see to remove them. Be careful while dyeing eyebrows and eyelashes by your own. Actually, if you are afraid to perform this procedure, then apply to a specialist to dye eyebrows and eyelashes professionally in a short space of time. In fact, practice makes perfect! All experts recommend dyeing eyebrows and eyelashes no more than one time per month. Such periodicity will help you to avoid your hair structure damaging. As to mascara, it’s recommended to buy top-quality cosmetics because mascara with cheap agents affect eyelashes growth and their appearance. 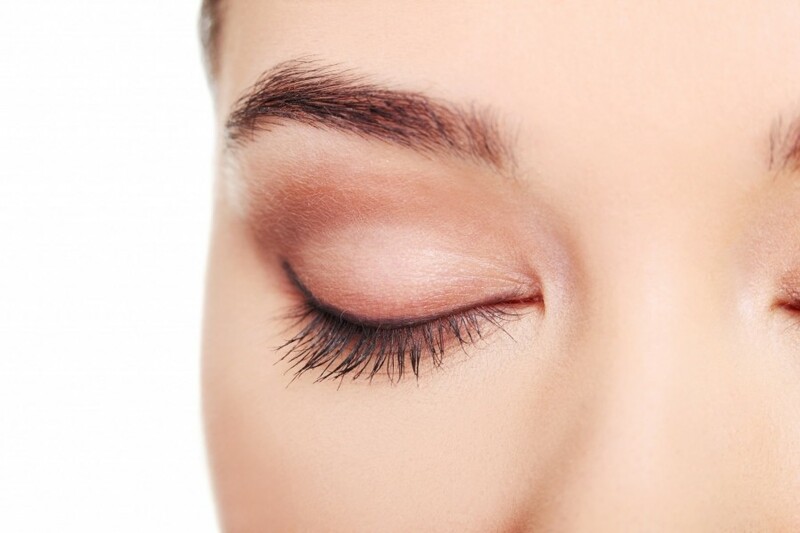 Another advice is to strengthen eyelashes by means of a brush, moistened in castor, peachy or olive oil. Also you can add A, E, D vitamins there. Use a mascara brush and perform this procedure every day before going to bed. Next articleWhat Makes Your Breasts Bigger?